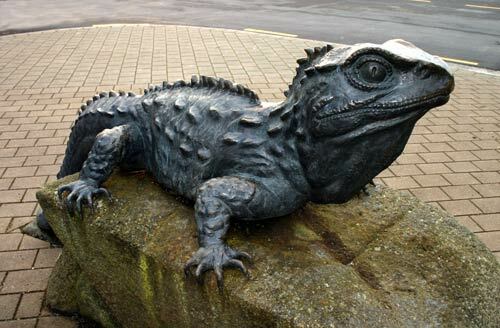 This tuatara statue sits outside the Southland Museum and Art Gallery in Invercargill. Tuatara have been on display at the museum since 1961, and in 1990 a large enclosure was built as part of the facility’s redevelopment. Southland Museum was one of the first places to successfully breed tuatara in captivity, and the reptiles continue to be bred there.